Deceptively spacious well appointed individual detached house offering substantial accommodation with over 3000 sq/ft including two useful attic rooms. 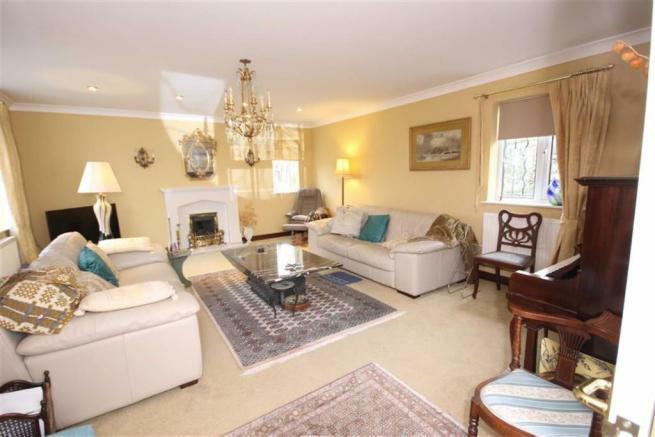 Ground floor living space includes three separate reception rooms, well fitted kitchen, utility room and cloakroom. On the first floor there are four bedrooms and two bathrooms including a splendid master suite. 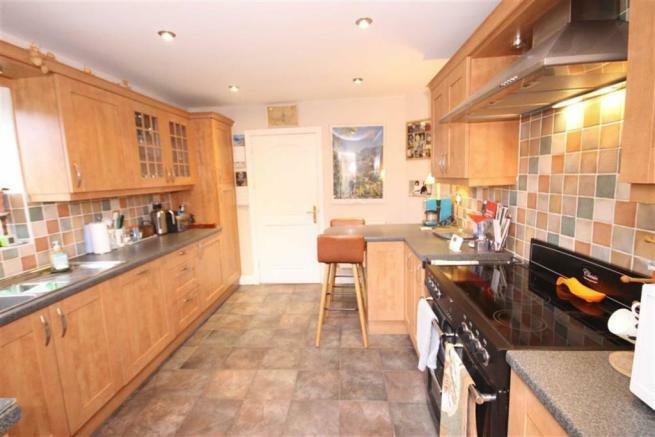 The property enjoys the benefit of full mains gas fired central heating and double glazing. 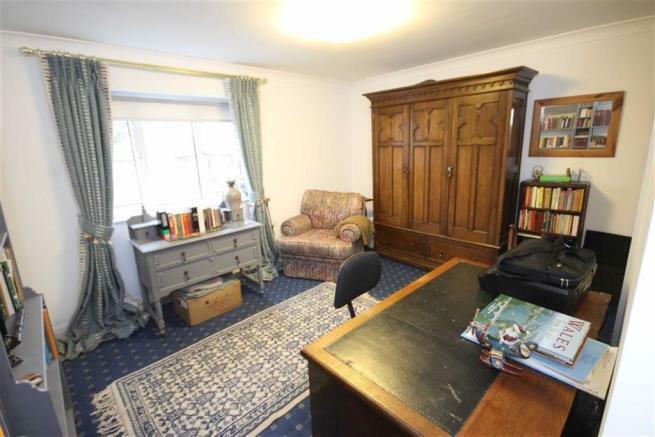 The location is a delight tucked away in a small cul-de-sac in Readers Lane which is in turn off a small close. The village centre is just a short level walk away with excellent facilities including a range of shops including Tesco Express, local junior school, post office, two village pubs, library, medical centre etc. Rhoose has a railway station on the coastal line between Bridgend and Cardiff. Immediately to the south is the heritage coastline and the village enjoys views over the Bristol Channel to the Somerset coastline beyond. Easy access to the main road network brings major centres within easy commuting distance including the capital city of Cardiff etc. Cardiff Wales Airport offers a wide variety of destinations. Entrance Hall - Opaque double glazed storm doorway with matching side panel. Pitched roof over giving undercover access to the integral garage. Useful cloaks cupboard. Tiled floor. Reception Hall - Large L shaped hall with all downstairs rooms radiating off. Easy graded double turn stairway to first floor with window on mezzanine. Tiled floor. Cloakroom - Modern suite in white comprising low level WC and pedestal wash hand basin. Tiled floor. Tiled splashback. Opaque glazed window. Extractor. Lounge - 19'6" x 15'6" (5.94m x 4.72m) - A well proportioned principal reception room enjoying views over the garden with windows on three sides. Glazed double doorway from reception hall. Inset ceiling lighting to coved ceiling. Gas coal fire set into fireplace finished in marble minister-style fireplace. Dining Room - 17' x 8'9" (5.18m x 2.67m) - Bay window overlooking the side garden. Glazed double doors leading out to the side terrace. Garden Room - 13'3" x 10'9" (4.04m x 3.28m) - A spectacular room with high pitched and beamed ceiling, tiled floor, glazed double doors leading out to the side terrace and window overlooking garden. Elliptical Hwam glazed fronted wood burning stove set on slate hearth. Kitchen - 13' x 9' (3.96m x 2.74m) - Well fitted with extensive range matching wall and base units finished in maple style with granite effect work surfaces and with tiling and lighting between wall and base units. Features include 1.5 bowl single drainer sink unit, built under Neff dishwasher with decor panel, built under fridge with decor panel, tall larder unit, classic black range with tiled back plate and filter set into stainless steel canopy over. Inset ceiling lighting. Tiled floor. Garden views. Utility Room - 9'9" x 6' (2.97m x 1.83m) - Range of units to match kitchen including wall to wall base units with work surfaces over and tiled splashbacks. Stainless steel single drainer sink unit. Space and plumbing for washing machine. Range of wall cupboards. Doorway through to integral garage. Tiled floor. Window overlooking garden. Landing - Double turn stairway with window on mezzanine landing. Large storage cupboard. Master Suite Bedroom One - 17' x 6'6" (5.18m x 1.98m) - An impressive room with high pitched and beamed ceiling. Glazed double doors lead to Juliet balcony overlooking the garden. Master Suite Dressing Room - Pitched ceiling to either side. Master Suite Bathroom One - Fitted with Victorian style rope suite comprising low level WC, pedestal wash hand basin. Glazed aqualux shower cubicle tiled internally and fitted with Mira shower. Tiled splashback. Radiator/towel rail. Extractor. Opaque glazed window. Bedroom Two - 13' x 12'3" (3.96m x 3.73m) - Garden views. Doorway to stairway leading up to the second floor. Bedroom Three - 15'6" x 13'6" max (4.72m x 4.11m max) - L shaped. Garden views on two sides. Double flush fitted wardrobes. Bedroom Four - 12'3" x 8'3" (3.73m x 2.51m) - Garden views. Double flush fitted wardrobes. Bathroom Two - 9'6" x 7'3" (2.90m x 2.21m) - Fitted with Victorian rope style suite comprising low level WC, pedestal wash hand basin and corner bath with hand shower. Glazed shower enclosure, tiled internally and fitted with Mira shower. Opaque glazed window. Dado rail. Radiator/towel rail. Extractor. Second Floor - Easy graded stairway from bedroom two leads to the two attic rooms. Attic Room One - 23' x 10'3" (7.01m x 3.12m) - Pitched ceiling with maximum height of just under 6ft. Electric light and power and central heating. Velux window enjoying sea views. Attic Room Two - 26' x 10'6" (7.92m x 3.20m) - Pitched ceiling with maximum height of just under 6ft. Electric light and power and central heating. Velux window enjoying sea views. Outside - Impressive arched wrought iron gate leads to brick paviour driveway with parking for numerous cars and leading to the attached double garage (19'6" x 18'6"). Up and over doorway. Electric light and power. Internal doorway leading to utility room. Walled front courtyard garden laid to brick paviours. Brick paviours lead around to the side garden providing attractive sheltered sitting out area and access from the rear door of the garage. Further sitting area to the rear of property again laid to brick paviours with access from the glazed doors in both the garden room and dining room. The entire garden is walled around and provides a variety of attractive sitting areas. It is designed for ease of maintenance. Services - Mains water, gas, electricity and drainage. Central heating by mains gas. Double glazed throughout. Directions - From our offices at 67 High Street, Cowbridge turn right and at the end of Westgate turn left onto Llantwit Major Road. At the roundabout at the Llantwit Major bypass turn left and continue along this road until your pass a petrol station on your right hand side. After about half a mile turn right signposted for Rhoose. Go through the village of East Aberthaw and into Rhoose village passing the village school on your right. As you come to the shopping centre on your right hand side just beyond turn left into Brendon View Close and then left again at the thatched cottage and Hen Gardd is located at the end of the lane on your left hand side. Disclaimer - Property reference 28661459. The information displayed about this property comprises a property advertisement. Rightmove.co.uk makes no warranty as to the accuracy or completeness of the advertisement or any linked or associated information, and Rightmove has no control over the content. This property advertisement does not constitute property particulars. 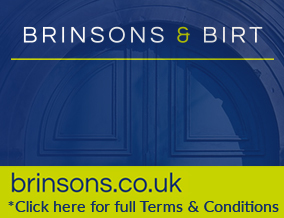 The information is provided and maintained by Brinsons and Birt, Cowbridge. Please contact the selling agent or developer directly to obtain any information which may be available under the terms of The Energy Performance of Buildings (Certificates and Inspections) (England and Wales) Regulations 2007 or the Home Report if in relation to a residential property in Scotland.